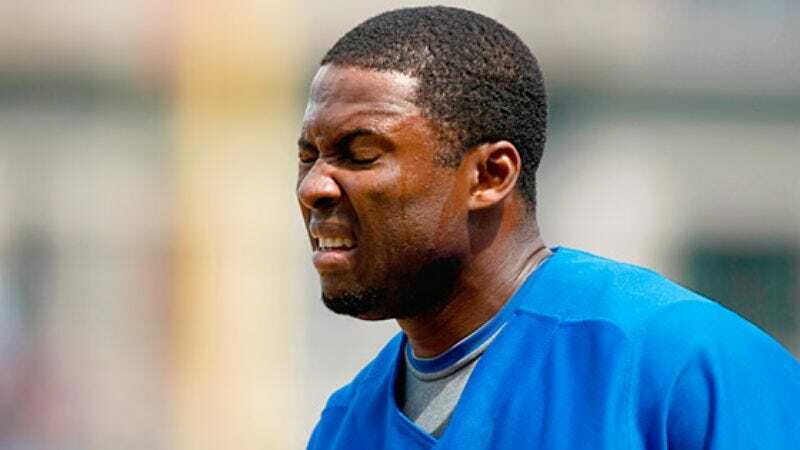 CHICAGO—Since catching a one-out fly ball and prematurely giving it to a fan during Friday's loss to the Minnesota Twins, Chicago Cubs outfielder Milton Bradley has vowed to continue the practice, claiming that it's his "new thing." "Um, giving fans baseballs with two outs and runners on base is something I've always wanted to start doing," Bradley told reporters after Wednesday’s game against the White Sox, during which he cost the Cubs at least three runs. "It has nothing to do with me being a big idiot who doesn't pay attention to how may outs there are or anything like that. I'm a professional baseball player. Of course I know how many outs there are. Come on. Seriously." Cubs manager Lou Piniella has benched Bradley indefinitely, but said it was mainly for his disappointing batting average.